If you need to emphasize some important words within your presentation, highlighting words may certainly help. 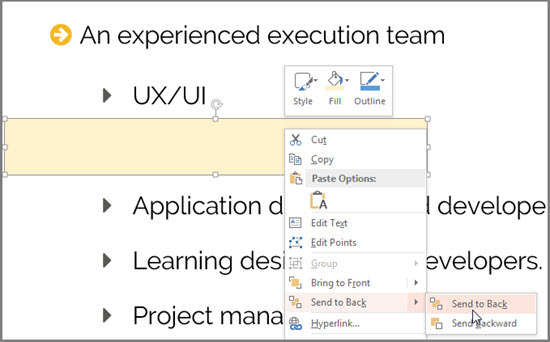 A true highlight for PowerPoint is only available in Microsoft Office 365 (consider our Microsoft Office 365: Web Apps and Collaboration for Office 2013 course to learn more). 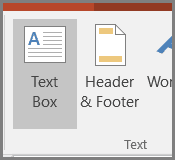 If you’re not an Office 365 subscriber, there are two other ways to highlight text using PowerPoint. On the Insert tab, Text group, click on the Text Box button. Draw a text box around the word that you want to highlight. Note: If your text is in a much larger text box, you may need to start your highlighting text box outside the boundaries of that original box. Under Drawing Tools, click the Format tab. 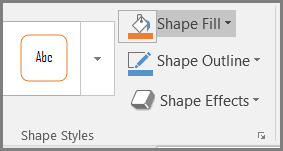 From the Shape Style group, choose Shape Fill more button (the drop down arrow). Right click on the highlighted object. Now your text has the highlighted effect. Select the text that you want to emphasize. Click Text Effects > Glow. Then choose a Glow Variation. How do you highlight the words only?